Veldspan ® is recommended for cattle. 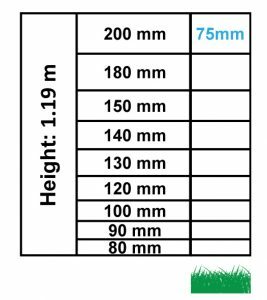 Available in heights of 1.19 metres. 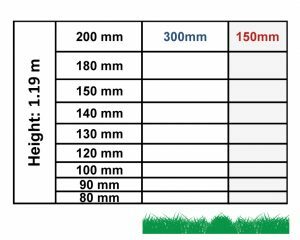 Consists of ten high tensile straining wires of which the two edge wires are 3.06mm and eight wires 2.24mm. 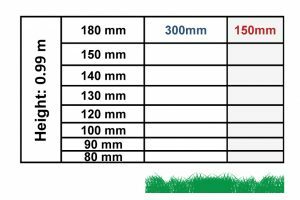 The 2.5mm vertical stay wires are spaced 300 mm or 150 mm apart. No droppers are needed. 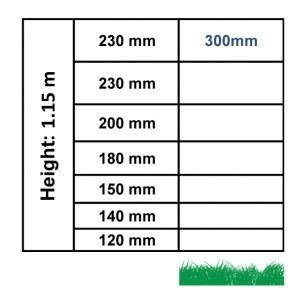 Straining posts are planted 100 metres apart with Y-standards every 7.5 metres (depending on area to be fenced). 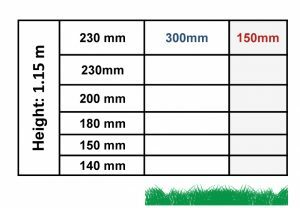 Available in 50 metre or 100 metre rolls. 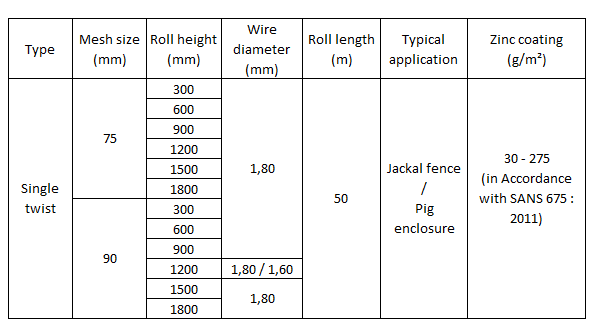 Also recommended for fencing is the following wire configurations. A tough fence that will minimize the damage to cattle hide. Alternatively netting, barbed wire or high strain wires can be used for fencing. 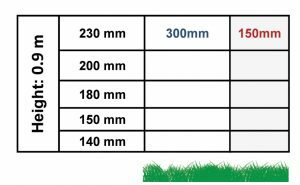 On netting the wire is only 1.8 mm thick whereas on a Veldspan® premanufactured fence the wires are 2.24mm and 2.5mm with 3.06mm top and bottom wires.